Hand dyed individual skeins of 75% Superwash Merino Wool and 25% Nylon. Beautifully soft to wear and hard wearing if you want a pair of luxury socks. Each skein is 100grams/425 metres. Price is per skein. You are purchasing one of the larger skeins photographed. This yarn is superwash meaning it won’t get ruined in the washing machine if that’s what you prefer but I recommend a cool wash to preserve the dyes. 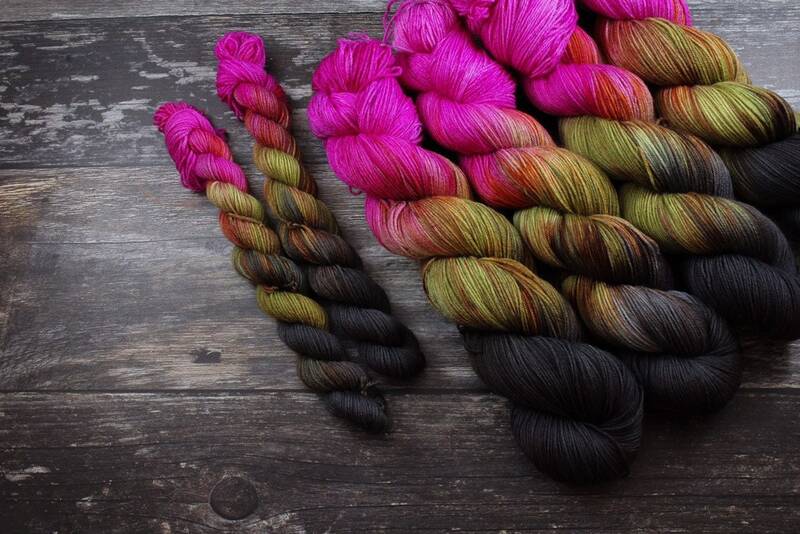 Each skein is slightly different due to the nature of the dyeing process. Please feel free to drop me a line if you would like to discuss a custom order.